This site was set up to compliment the Team Scarab site. 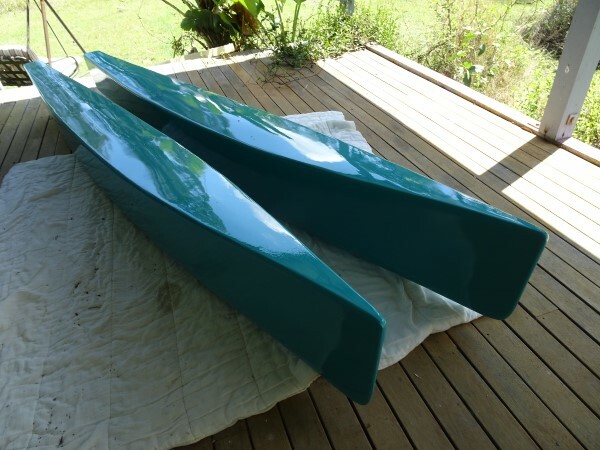 We have built many of Ray Kendrick's designs and we will show how these boats are constructed. 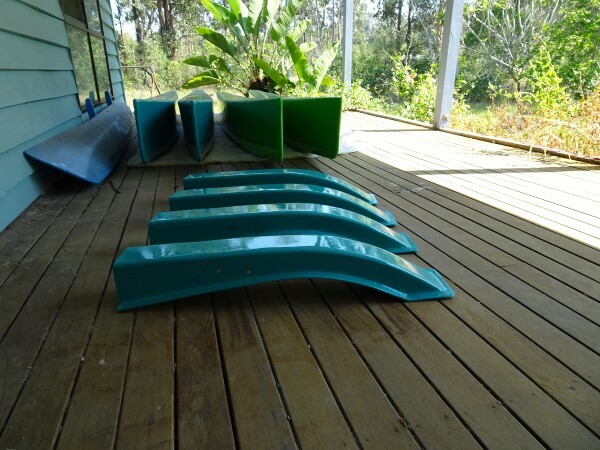 The Team Scarab site was growing too large to include all of this information.We hope that the information and the pictures of these boats will help the homebuilder with their own projects. It's been a while since we had a fire that destroyed one of our sheds with all supplies, moulds and about 10 boats in various stages. Now we are all on the go and working on several new projects. This is a new design based on the Scarab 10. It has a different folding system (similar to Scarab 18) instead of slidng tubes. 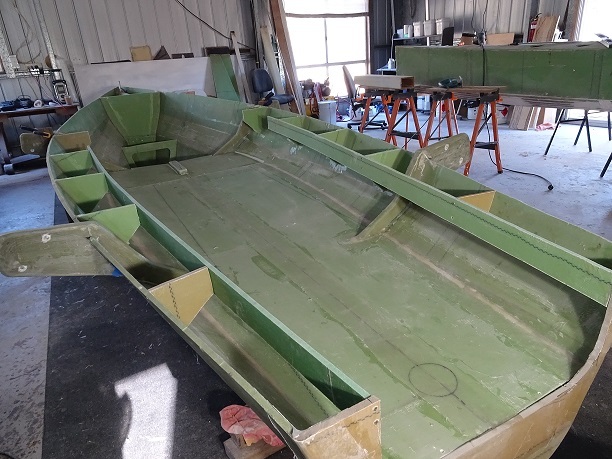 It has a rounded bilge and the deck is shorter to allow the mast to be stepped on the floor. The foam prototype is finished and ready to be painted. 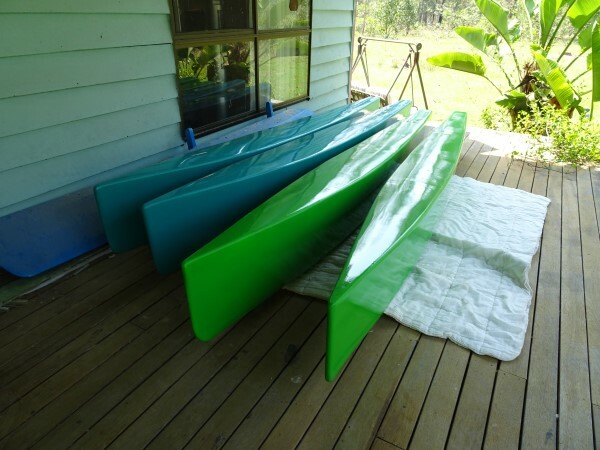 The picture shows 2 foam floats and 2 moulded ones. There are no plans for the changes for this boat. See the site if you are interested in any of these designs.